Summer has definitely arrived in San Jose, with the highest June temps we’ve seen in years! Definitely time for lots of iced tea, and happily, someone has designated the month of June to be Iced Tea Month. While cold tea, served with or without ice in the glass, has been a familiar drink in the United States since the middle of the 1800s, especially in the warm Southern states, “iced” tea is generally agreed to have been “invented” – at least formally introduced – to Americans at the 1906 World’s Fair in St. Louis, Missouri. 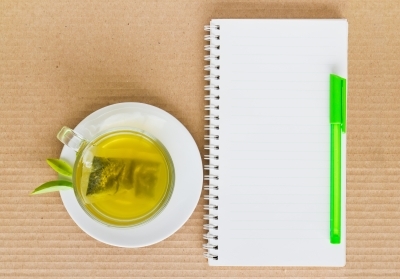 Iced tea became a sensation and has remained a popular warm-weather beverage ever since then. Iced tea is easy to make at home, with a glass jar or decanter and some cold water in the fridge, but when you’re out and about, sometimes it can be difficult to find a good iced tea. Various dine-in and fast-food restaurants serve iced tea, and most coffee shops in the San Jose area do, as well. 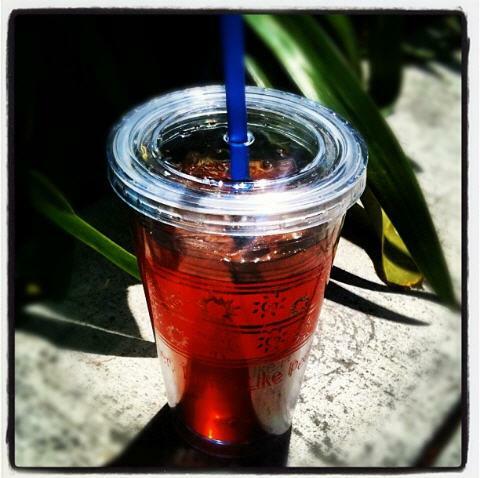 Peet’s iced tea. Photo from the Peet’s company Facebook page. I tasted the Summer House Tea for the first time a few years ago. I would not consider it a smooth-flavored tea, and I didn’t taste any sweetness or toastyness. The description suggests that the blend is a mix of Assam (for the toastyness), with some other Chinese teas. There must be some Darjeeling in the blend because there was a good amount of astringency (“briskness”) in the flavor, as well as a citrusy tartness. The tea is served unsweetened, and although I usually don’t add sugar or honey to my tea – hot or cold – I would add a small amount of honey to this iced tea. It would also be tasty with a slice of fresh Meyer lemon. Stay hydrated this summer with lots of iced tea! You can even change it up by adding fruit juice and sparkling water to make ice-cold spritzers. Like what you read? Leave a comment below, click on “Subscribe” above, visit the San Jose Tea Examiner page on Facebook, read my blog The Cup That Cheers, or follow me on Twitter @SanJoseTea! Don’t miss the 2nd Annual Berkeley Coffee and Tea Festival! 2nd Annual Berkeley Coffee and Tea Festival postcard. Image from the Berkeley Chamber of Commerce Facebook page. For Bay Area tea-lovers, a festival devoted to caffeinated beverages promises to be a tasty and energy-filled event; we have the Winter Fancy Food Show and the San Francisco International Tea Festival, and this weekend is the 2nd Annual Berkeley Coffee and Tea Festival on Saturday, August 18th. The event organizers have planned an information-filled morning for the festival, which ends at 1 p.m. so that all the tea-tasting and coffee-tasting (plenty of free samples!) won’t interfere with anyone’s sleep that night. There will be a vendor hall featuring coffee and tea companies, as well as classroom discussion panels and workshops about tea and coffee, a traditional Japanese tea ceremony and a traditional Ethiopian coffee ceremony. August 18, 2012, 9 a.m. to 1 p.m.
It’s about a 45 minute drive from San Jose to Berkeley for the festival. To get there from San Jose, take Hwy. 880N toward Oakland, then merge onto 980 E towards Walnut Creek. Continue on CA-24, and take the Martin Luther King Jr. Way exit. Make a slight right onto Adeline St., left on Martin Luther King Jr. Way, and make a right on Allston. Or, if you want to take public transportation, you’d take the 180 Express bus to the BART station in Fremont, then take BART to the downtown Berkeley station, and walk a block to the hotel. Peet's Coffee & Tea downtown San Jose. Photo: Elizabeth Urbach. 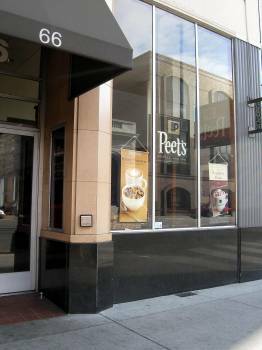 Although better known for their coffee, as a major competitor to Starbuck’s, Peet’s Coffee & Tea is a good source for loose tea and good-quality bagged tea in San Jose. The California-based company offers free tea and coffee tastings, both pre-scheduled ones and for walk-ins, in their Bay Area stores. That’s right, you can walk in to a Peet’s Coffee & Tea store in the San Jose area, and ask them to set up a tea tasting for you right then and there! Gunpowder, a rolled Chinese green tea which was savory and slightly smoky in flavor and aroma. Peet’s describes its flavor as “bittersweet and slightly smoky character”. Darjeeling Fancy, an Indian black tea with a mild astringency, smooth aftertaste and surprisingly rose-like aroma. The website says it is a second flush Darjeeling and has a “sweet, floral aroma, and a pungent taste.” Although I don’t tend to like Darjeeling teas – I find them too bitter – I am happy to say that I liked this one; that may be due to the milder tannins in second-flush Darjeeling teas. I did notice that it became much more bitter than astringent after 5 minutes of steeping. Red Rooibos, a South African herbal tisane that featured the tart, almost citrusy herbal flavor characteristic of rooibos. The website describes its scent as “saffron-vanilla”, with a rich “faintly malty” flavor. very knowledgeable as well. He was careful to heat the water to the proper temperature, used a timer to infuse each tea for the proper amount of time, and provided cups of plain water so we could cleanse our palates. The attention to detail also included separate tasting cups for each type of tea, so that the fragrance and flavor of one tea would not influence the next. While the company seems to spend more on promoting their coffee, it’s good to know that they take good care with their tea as well! There are over 10 Peet’s locations in San Jose alone, along with two in Milpitas, two in Santa Clara, and more stores throughout the Bay Area. 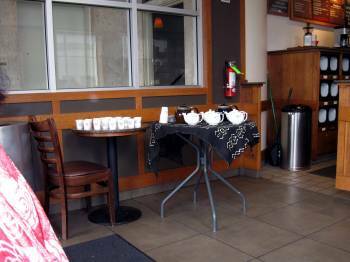 Peet’s Coffee & Tea is a good tea-tasting destination in the San Jose area.